Very sturdy, I was surprised how well these were put together. They are very thick almost double thickness of the others you can purchase. I AM SUPER HAPPY that they have locking edges. My 11mo. Old and myself having lost everything in Hurricane harvey, I can definietly appreciate when we find good deals that work. I will most definitely continue to spread the word. Thanks walmart for selling a great product. Home territory searches the web to find the best prices and availability on Home Storage Bins and related products foir your home like Hefty HI-RISE PRO Heavy Duty Storage Bins, 72 Qt. Latch Storage Box, Orange Gray. For this page, related items include products we find that match the following keywords: "Storage Bin" at our vendor partner Walmart - Click More Info / Buy Now to check for price rollbacks!. 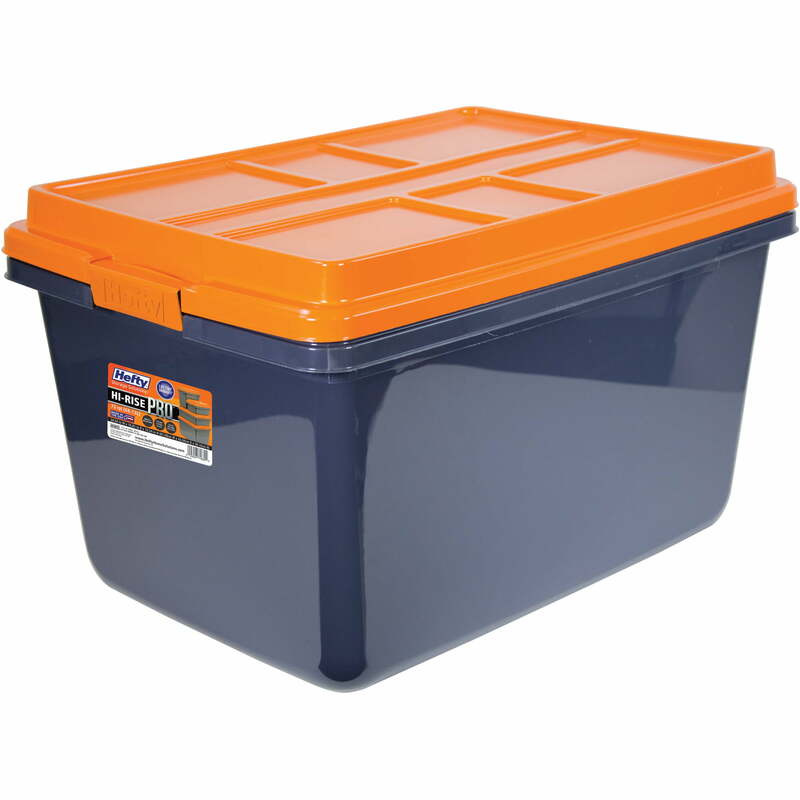 Hefty HI-RISE PRO Heavy Duty Storage Bins, 72 Qt. Latch Storage Box, Orange Gray is one of 23 Home Storage Bins and related products available for sale through HomeTerritory.com, If you have any questions on this product, please give us a call at 734-971-1210 during the hours of 9am - 5pm EST for assistance. Thank you for shopping at Home Territory, the home furnishings superstore!